Should Cities Have Volunteer Parking Enforcers? I think I've answered my own question – no, probably not. We know Detroit is not the only municipality in this country having more budget problems. Times are still tough, and funds are being cut left and right. Which is likely the reason Malibu, Calif. is the latest city to let volunteers enforce parking. According to KPCC, it's an extension of a current volunteer patrol program that allows volunteers with the LA County Sheriff's Department to help direct traffic and warn drivers before they get parking citations. Now, though, the same set of people are going to be able to write tickets with fines attached to people who can't park in Malibu. For those unfamiliar, Malibu is largely a strip of coastline next to LA that's also full of some of the most expensive and exclusive homes in the country. Drive up Pacific Coast Highway, and you'll find that on a given Friday, Saturday or Sunday, there's scarce parking for everyone's Ford Raptor or Audi Q7. And on the side streets, where these volunteers will be working, the problems are often worse. This is a city with a lot of fake parking signs, after all. The other reasoning is to free up actual cops to work on more serious crimes and issues in the area. Not like Malibu has a huge crime issue, other than noise complaints and the inability of many to drive Ferraris on PCH. 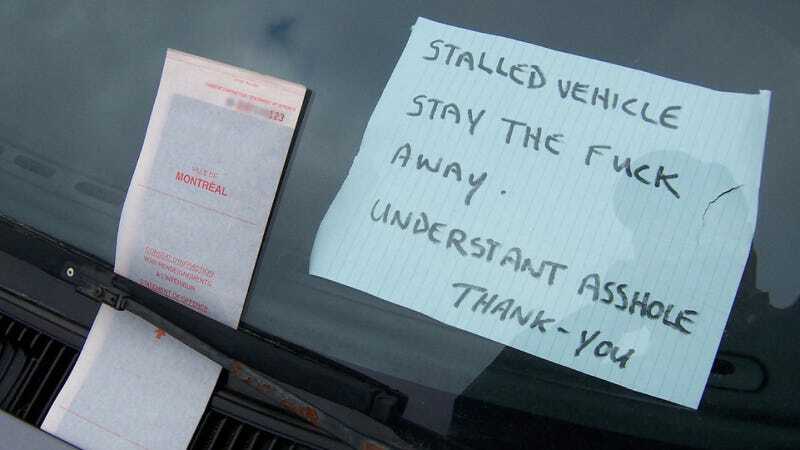 But the idea of giving volunteers the ability to write parking citations is spreading and a setup for abuse of power. Miraculously, I've only had a few parking tickets in my driving life, but that's largely because I didn't own a car when I lived in a major city. In my small-ish hometown, as soon as your 75 minutes of free street parking are up, there's always parking enforcement there to write you up for a $46 fine. It. Never. Fails. As drivers, we should park considerately. We've featured enough BMW parkers to reinforce the point that everyone hates an asshat who takes up more space than necessary. If you buy a 750Li, you should learn to park all 17 feet of it. Don't make someone's grandma give you a ticket.